Calvary Women’s Services has seen many changes over the past 15 years. Thousands of women have lived at Calvary and moved on to their own homes after accessing services that empower them to make significant changes. We have added new transitional housing and permanent supportive housing for women; we have changed locations; the number and types of educational opportunities women can engage in has grown immensely; we have hired new staff, welcomed new supporters, expanded our online presence, and so much more. Although each year brings challenges and changes for Calvary, one perennial event founded 15 years ago continues to be our most exciting springtime fundraiser – the Hope Awards Dinner! 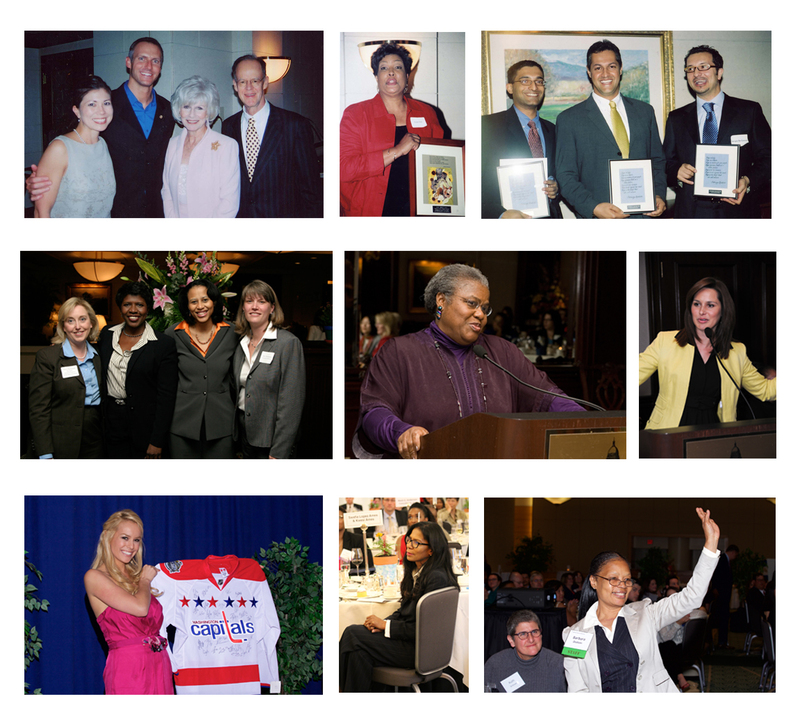 This year’s Hope Awards Dinner will be on Wednesday, May 18. On this night we will celebrate women who – like Calvary – have come so far and achieved so much. One of the highlights of the Hope Awards Dinner is the presentation of the Hope Award itself, which is given each year to a figure in the community who inspires and empowers women. Erica May-Scherzer will receive this year’s Hope Award for her work as a feminist, activist and human rights advocate. Erica is an ambassador for the Polaris Project and has dedicated herself to a number of nonprofit organizations based in Arizona, Michigan and Washington. DC residents and baseball fans may recognize Erica’s name in connection to the Washington Nationals, where her husband is a pitcher. Although a lot has changed in 15 years, one thing unfortunately remains true in Washington: thousands of individuals do not have a safe place to call home. Homelessness continues to be a crisis. By attending the Hope Awards Dinner on May 18, you become part of the effort to empower homeless women to live independently. Celebrate how far women at Calvary have come, and join us in looking to the future. Please buy a ticket to the Hope Awards Dinner today.